I am personally very fond of pallet as it gives me the freedom to labor all my ideas and make all the amendments and modifications I want. We sometimes inaccurately call it a skid. A pallet is basically a flat transport structure that supports goods in a stable fashion while being lifted by a fork lift. Almost all the giant companies pack their goods in this very pallet that is why pallets are made on a very huge level. 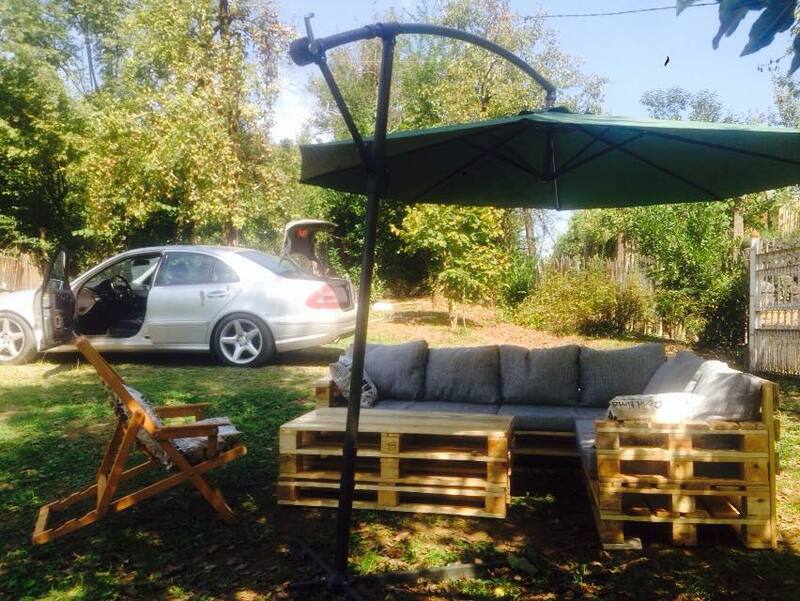 And almost in every house hold of US, they have tons and piles of these trashed pallets in their backyard. So it becomes a most easily accessible material that is neither expensive, infact free of cost, and also give you a variety of recycled items that are used practically in daily life affairs. 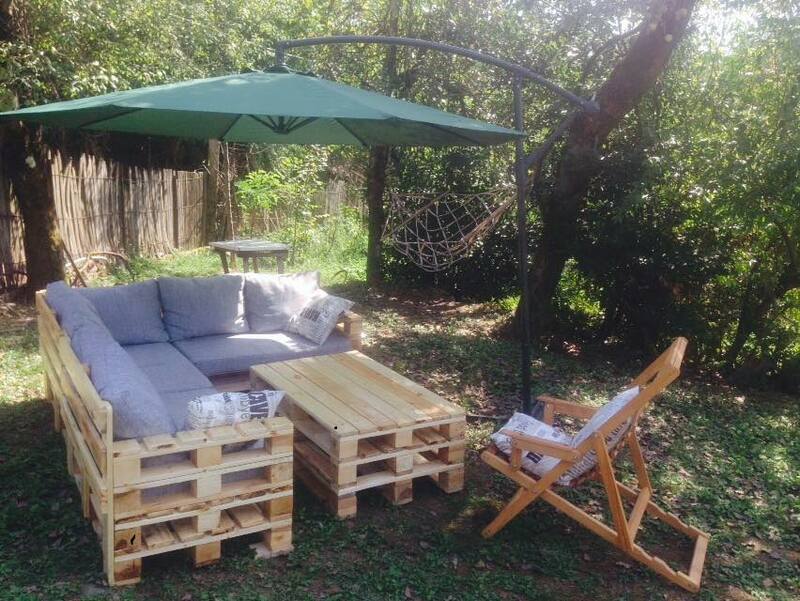 Pallet garden furniture is a really very wide subject. We have given countless inspirational projects here in our website. Most of them made with the pallet wholly. 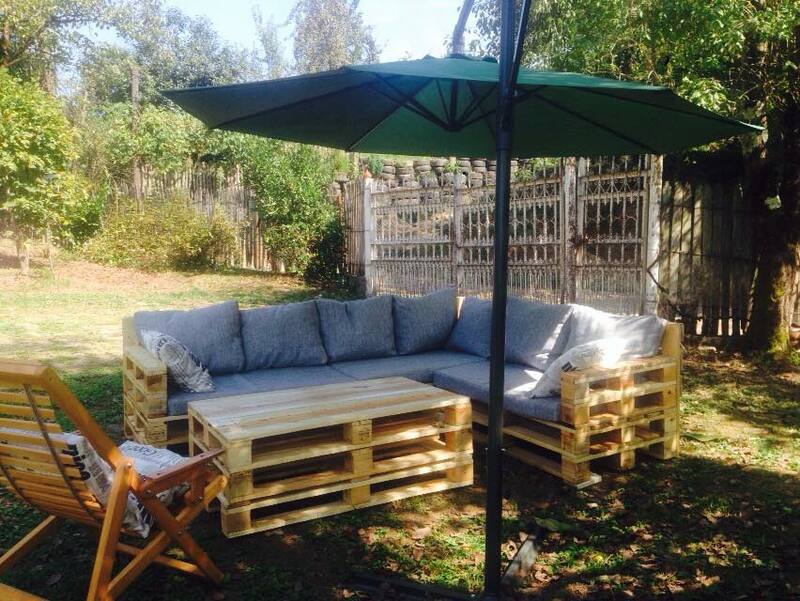 Pallet is so easily available in almost every house hold. And it also gives you the ease of all type of amendments and modifications. At the same time it is probably the best material for making certain furniture items. 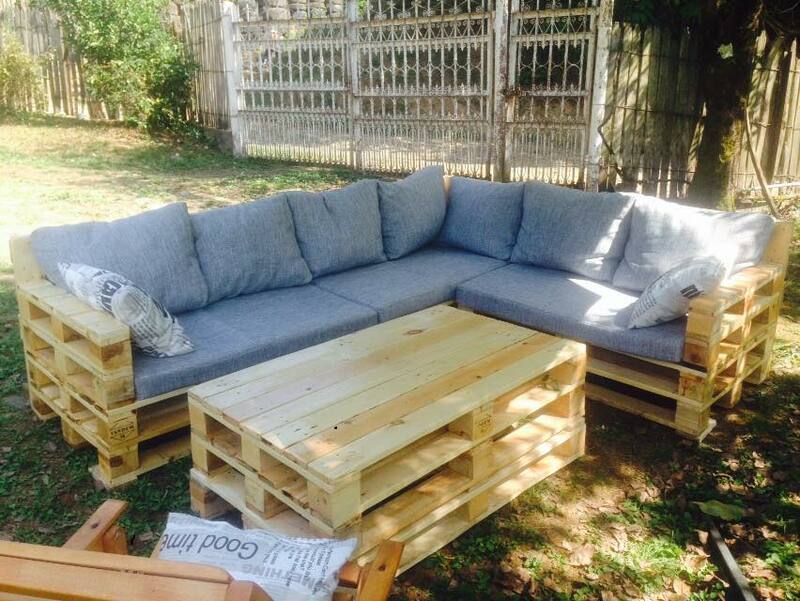 Sofa, coffee table, chair, wood deck and what not could be made with pallet wood, you just name it. In the first project, we begin with a rustic dingy plain pallet wood. 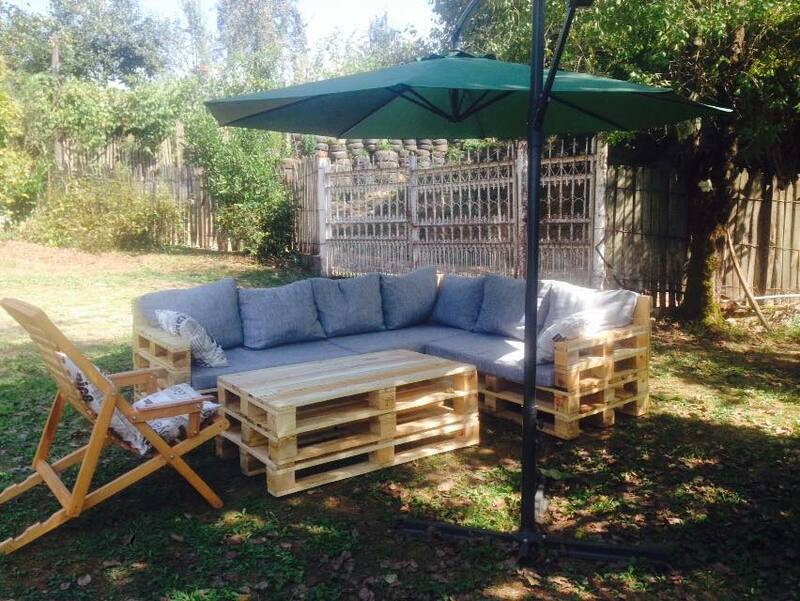 The sofa is made of pallet, the table also having the same rustic look is made with pallet wood. The cushions are just complimenting and adding to the comfort and ease. 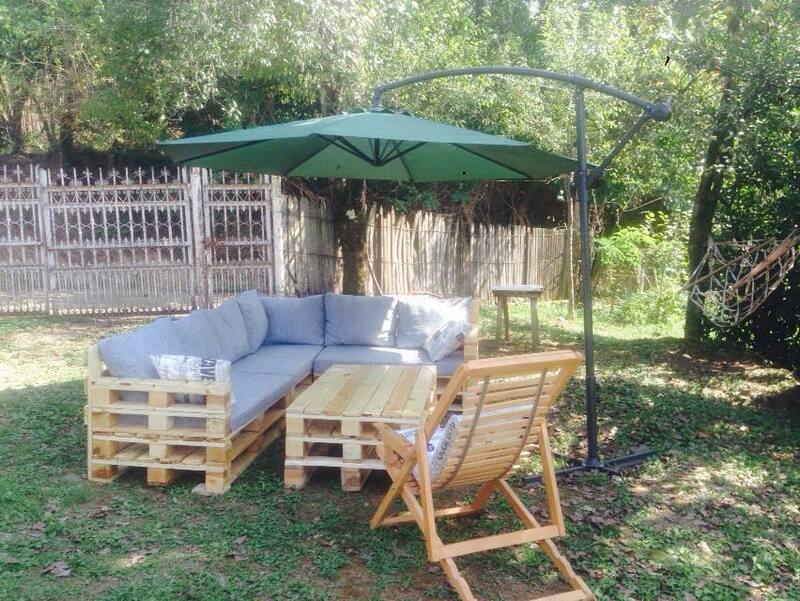 A best sitting arrangement for your backyard where you have not spent much dollars and your need is served in a best manner just with the help of pallet. Rough looking furniture for a rough place, nothing could be done better than this.